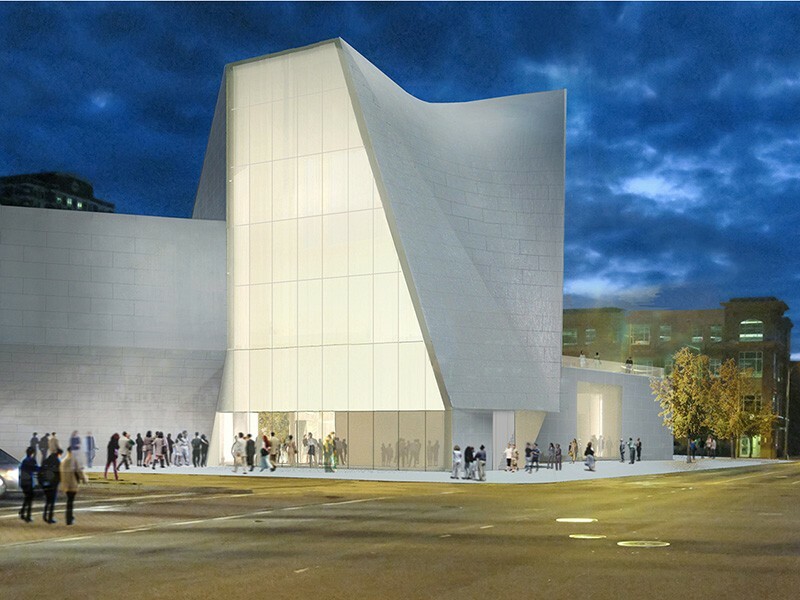 Richmond, VA – October 17, 2017 – On April 21, 2018, Virginia Commonwealth University (VCU) will unveil the Institute for Contemporary Art (ICA), a new, non-collecting contemporary art institution designed by Steven Holl Architects. Located at the intersection of Richmond’s historic Belvidere and Broad streets, the ICA anchors one of the city’s busiest junctures. The building provides a striking new gateway for Richmond, with dual entrances opening to the city’s arts district on one side and VCU’s Monroe Park campus on the other. Free of charge to all visitors, the ICA will be a significant new cultural resource for Richmond and VCU, in direct dialogue with VCU School of the Arts, the #1-ranked public school of art and design in the U.S. The ICA will offer a vital new dimension to a premiere urban research university, and contribute to a national and international cultural dialogue. With nearly 41,000 square feet of flexible space, including an inviting 33-foot high central forum, the ICA will feature a dynamic slate of changing exhibitions, performances, films, and interdisciplinary programs. Its fluid spaces are designed to support the diverse practices characteristic of the art of today, mirroring VCU’s interdisciplinary approach and supporting the varied needs of contemporary art and audiences. 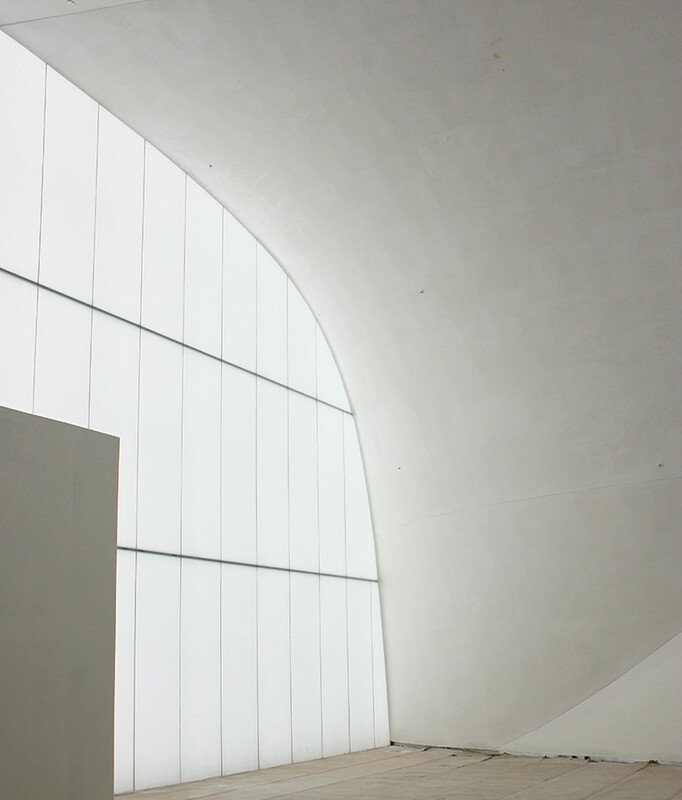 The open design of the ICA features dynamic exhibition and programming spaces that can be creatively activated in order to support widely varied forms of contemporary art. The glass walls and windows create continuity between the interior and exterior spaces of the building. On the first floor, a 4,000-square-foot gallery and café, bar, and concept shop radiate from the ICA’s central forum and frame an outdoor garden, which Steven Holl describes as the “Thinking Field,” that will be used for social gatherings and public programs. The first floor also features a state-of-the-art 240-seat auditorium for film screenings, performances, lectures, and other programs. The second floor includes two forking galleries and an adaptable “learning lab” for interactive engagement. It also includes a publicly accessible terrace, featuring one of four green roofs. The third floor features a gallery with soaring, 33-foot-high walls and houses one of the administrative suites and the boardroom. Additional staff offices are located in the building’s lower level, which also includes a lobby for visitors, art storage and preparation facilities, a fabrication workshop, a green room, the catering kitchen, and general storage. 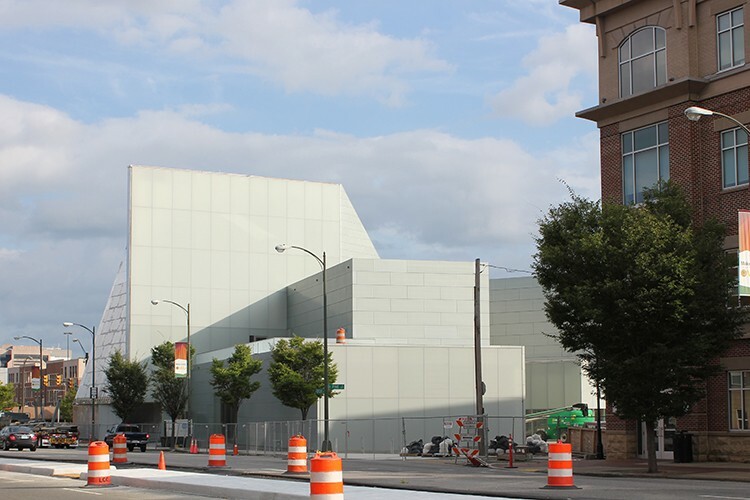 In keeping with VCU’s master sustainability plan, the ICA’s design incorporates state-of-the-art technologies and environmentally conscious design elements, and makes use of numerous natural resources. 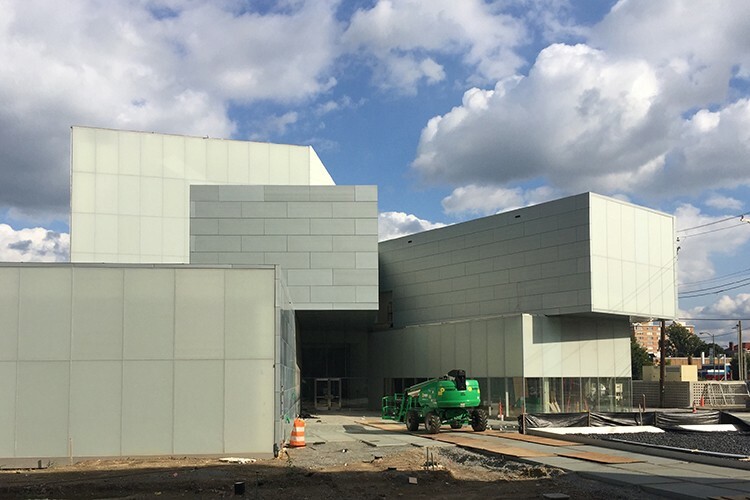 The pre-weathered, satin-finish zinc exterior of the Markel Center, which houses the ICA, includes interspersed clear- and translucent-glass walls and skylights that infuse the building with natural light and lessen the reliance on nonrenewable energy. These include the use of geothermal wells to provide heating and cooling energy for the building, and four green roofs to absorb stormwater, offset carbon emissions, and maximize insulation. Native plantings include wood oats, little bluestem, Pennsylvania sedge, and goldenrod. Building materials include Virginia bluestone and custom glass cavity walls, designed to exhaust heat in the summer and harness it in the winter. The project is designed to meet LEED Gold Certification standards. The ICA’s inaugural exhibition, Declaration, will explore contemporary art’s power to respond to pressing social issues through work by over 30 emerging and established artists. The exhibition will fill the ICA and reach into the city with a dynamic mix of projects in a wide array of media—from painting to new media to performance. It will feature many premieres and commissions from artists based in Richmond and around the globe, including Tania Bruguera, Peter Burr and Porpentine Charity Heartscape, Cassils, Sonya Clark, Amos Paul Kennedy, Jr., Autumn Knight, Lily Lamberta and All the Saints Theater Company, Paul Rucker, Marinella Senatore, Stephen Vitiello, and others. Declaration will remain on view through September 9, 2018.